Protection of the marine environment is one of the top priorities for both governments and corporations. Recent trends in the reduced numbers and impact of marine pollution incidents have shown the significance of improving contingency and response planning. To achieve this, we need to ensure that we continuously maintain a well-trained workforce in preparedness and response strategies, while leveraging on technological advancement as a force multiplier. The International Chemical and Oil Pollution Conference & Exhibition (ICOPCE) 2017 will be addressing emerging trends, and look at the importance of regional collaboration initiatives with key stakeholders of the industry. In addition, ICOPCE will also take a fresh perspective at innovations in HSE management, and use case studies to focus on advancement in technologies for anti-pollution control and dispersants. 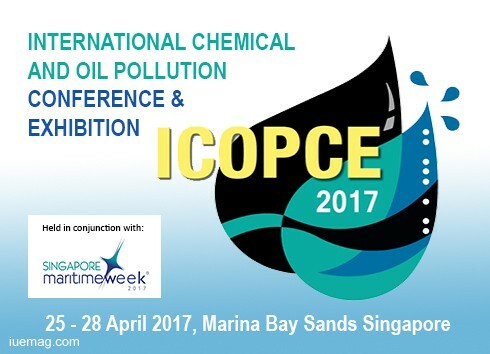 Organised by the Maritime and Port Authority of Singapore, and held in conjunction with Singapore Maritime Week 2017, ICOPCE is set to bring together national oil companies, major shipping companies, terminals and port authorities, regional governments and specialist spill response companies for a common purpose in marine environment protection. Panel Discussion: The Challenge of Continuous Improvement - How much planning and preparedness is enough? The iUeMagazine team is delighted to work with the 10th Annual International Chemical and Oil Pollution Conference & Exhibition as Online Media Partners & is expected to bring Unlimited Inspiration for all readers from the proceedings of this event. Staying tuned to the enriching updates from this event is recommended. Any facts, figures or references stated here are made by the author & don't reflect the endorsement of iU at all times unless otherwise drafted by official staff at iU. This article was first published here on 13th March 2017.